Everyone loves a big, juicy steak on the grill. What most people can’t figure out is how to grill a steak like a Dallas steakhouse does. At Y.O. Steakhouse, we’re famous for our succulent steaks that guests come back again and again to enjoy. While we can’t divulge all of our grilling secrets, we can share with you how to grill a better steak at home on your own grill. The best cuts of meat come from the rib and loin area. These cuts also happen to be the most expensive. On our steakhouse menu we serve porterhouse, ribeye, and New York strip just to name a few. Cutting down the fat on the steak also has a lot to do with the flavor. While fat makes the steak more flavorful, on the grill too much fat can cause the steak to char. Additionally, the thickness of your steak matters. Typically, steakhouses serve steaks that are between 1.5” to 2” thick. Take your steaks out of the refrigerator and let them warm to room temperature before putting them on the grill. This is also a good time to put your seasonings on or just plain salt if you prefer. After you’ve grilled your steaks, take them off the heat and let them sit for awhile so they can absorb and lock in all of the juices inside. The best steakhouses in Dallas know that cutting a steak too soon can really hurt the flavor inside. There’s some debate over whether you should grill with a gas grill or charcoal and wood burning grill. Everyone has their own preference, however the most important part of grilling a steak is the temperature not the grill itself. Many prime steakhouses have their broilers reach temperatures of at least 800 degrees. Ideally, you want to see juices pooling on the surface of your steak. This indicates that the steak will have the right amount of juiciness and tenderness. At Y.O. 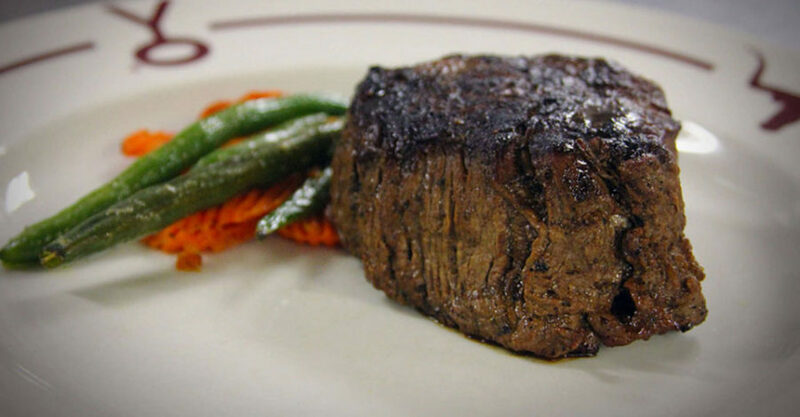 Steakhouse, we serve USDA Prime steaks. Many of our customers dine at our restaurant not being totally sure of what cuts they like. It’s important to try different cuts to learn what you like so you know what to order next time. If you’re looking for a steakhouse with a warm atmosphere, then make a reservation with us! We look forward to your visit!